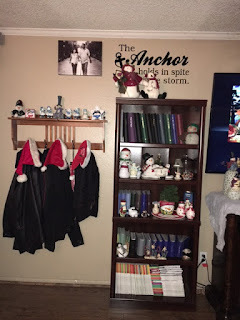 I struggled with decorating this year, it is so tough to get all the boxes down from the attic...but my hubby really wanted a little Christmas cheer, so I got most of the stuff down while he was at work. 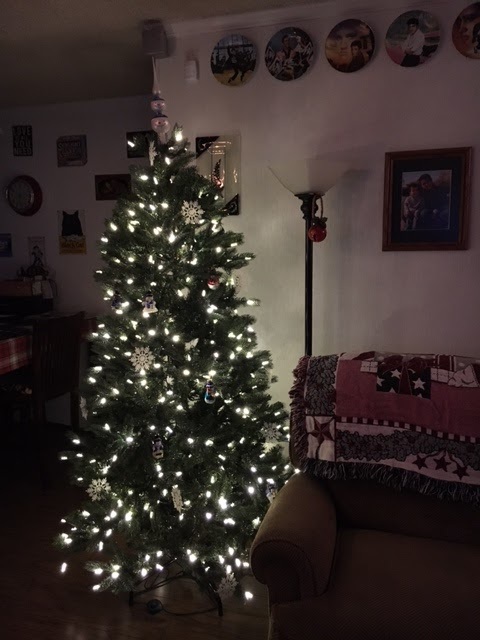 The tree is a 6 foot fake, it is already strung with lights and folds up in 3 pieces, pretty easy to put up, just have to unscrunch the branches and make them full looking. 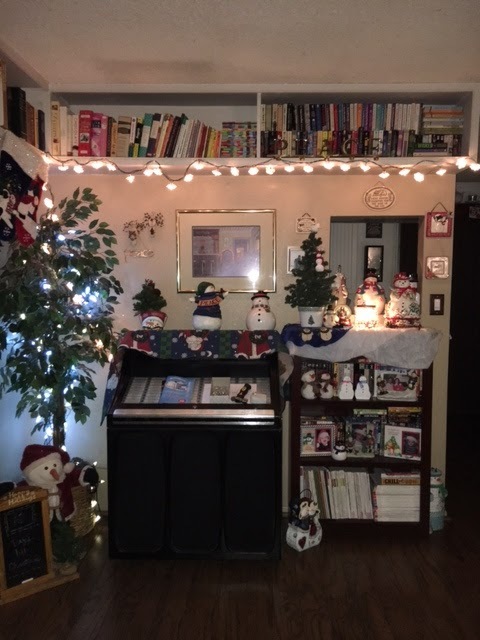 The jukebox area, snowmen are everywhere! All my Jim Shore snowmen on the fake fireplace, I tried to collect all the ones of snowmen with cats he made. 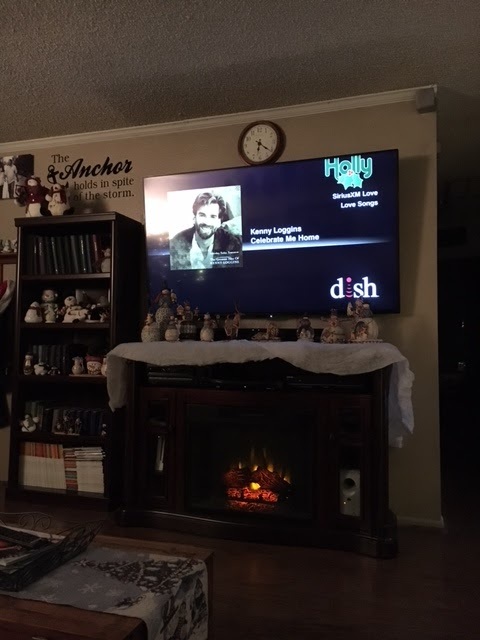 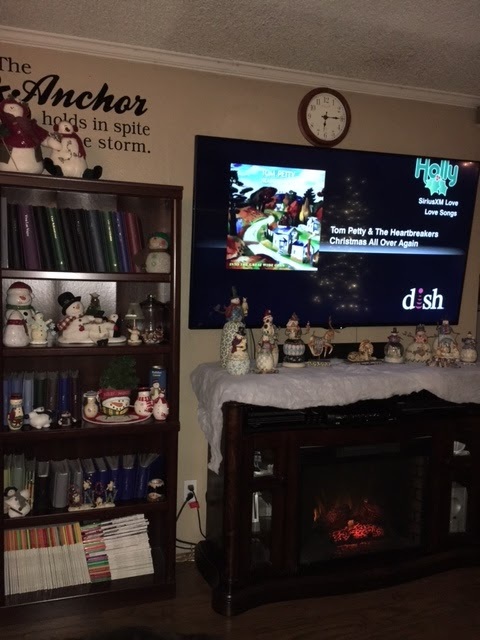 And when I got all done decorating and I sat down with a glass of wine, my favorite holiday song came on, Celebrate me home by Kenny Loggins, the perfect end to a long day of decorating! Merry Christmas, Ho!... 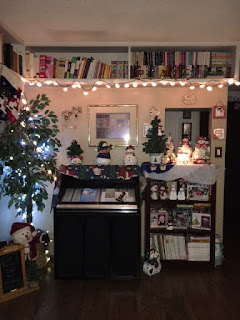 ho ho. 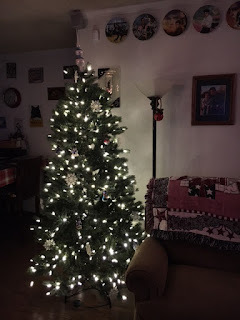 The house looks festive, Chica!